On Saturday, I got my first order from Paper Issues and I could not be happier with my order. I got lot of Crate Paper Notes and Things and Maggie Holmes Open Book. I definitely found my scrapbook line soul mates. I've already completed one layout and am working on a second one for Sketchy Saturday at Paper Issues. I also got the November Swag Bag from Paper Issues and am so excited to make a mini album from Andy's first fall using it. 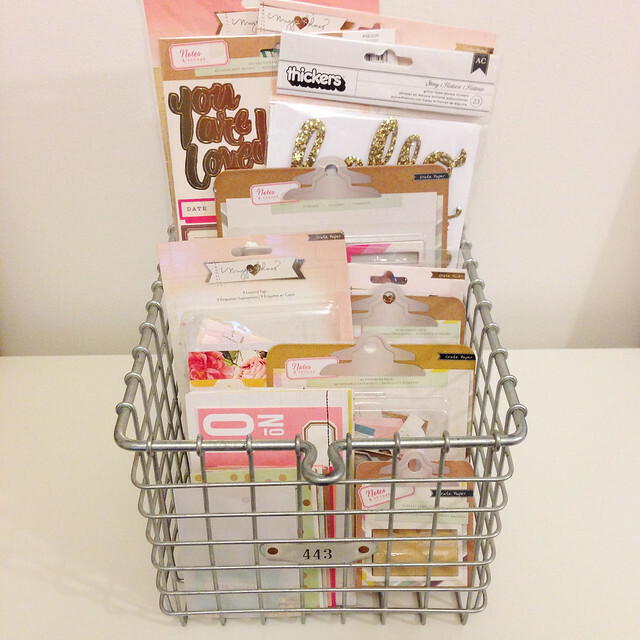 This order from Paper Issues was my first time buying scrapbooking products- that wasn't a kit of some kind, in well over a year. It was so fun and I just loved the selection they have. 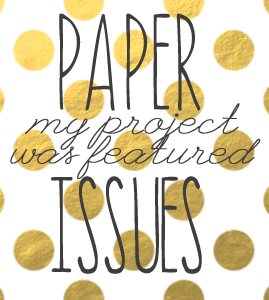 Paper Issues is definitely going to be my go to online scrapbooking store from now on. I just love seeing Andy's imagination at work. It is one of the greatest joys as a parent. 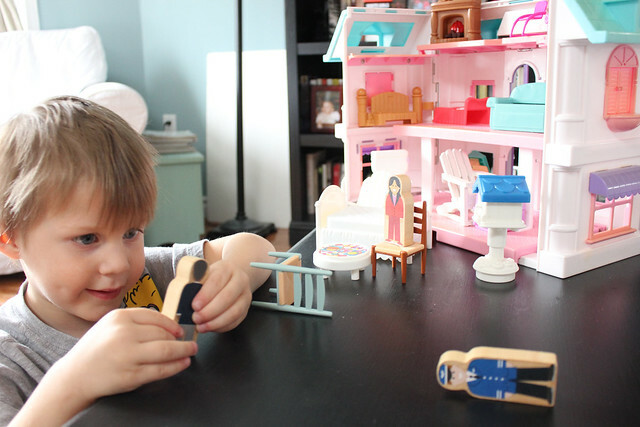 We bought Andy this dollhouse and a mish-mash of furniture at a thrift store and he just loves playing with it. He pretends the people are members of our family and acts out that they're coming over to visit and gives them food and puts them down for naps. It is so adorable to watch. Santa might be bringing Andy a bigger dollhouse for Christmas if he continues to enjoy it this much. Eek! One of my layouts is Featured Project at Studio Calico and I am so honoured and excited. There is a house around the corner from us that goes all out for Christmas. 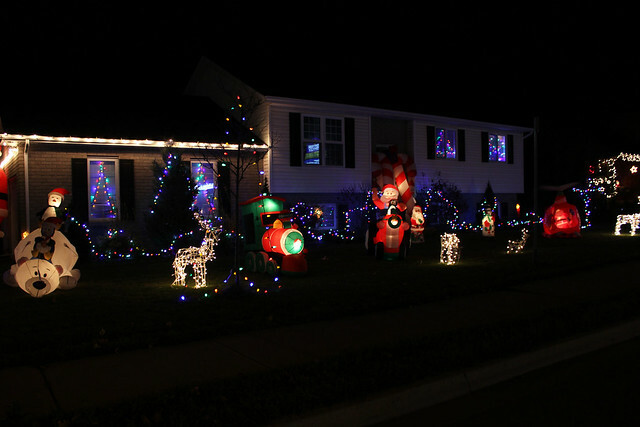 This is our fourth holiday season in this neighbourhood, and each year their display gets bigger and more elaborate. I just love their holiday spirit, however I do not envy their hydro bill. Tonight is the first night that they had the whole thing set up and I just had to take some pictures. It really got me excited for the upcoming season. Christmas is just my favourite. Bring on the christmas carols and merry making! I love that basket of goodies, it looks divine all stored like that. Well done on being featured and no wonder, it was awesome.